2011 is the 110th anniversary of his birth and the 40th of his passing. There are many people who, when they think of Louis Armstrong, think of a man who sang 'It's a Wonderful World' or 'Hello Dolly'. Their recognition of his voice is from the soundtracks to films or the backing tracks to TV commercials. 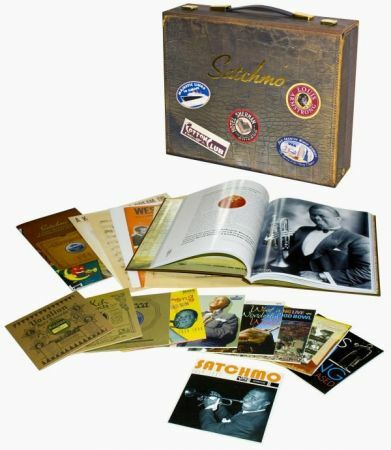 What many of them probably don't know is that he was such a remarkable musician whose technical expertise, the genius of his musical imagination and his dominance of the genre, made him the model for virtually every jazz musician from the late 1920s to the outbreak of World War II - and beyond. To commemorate the life of this great man, here is 'SATCHMO' Louis Armstrong : Ambassador of Jazz.